Print this coupon and receive 10% off any electrical service upgrade. 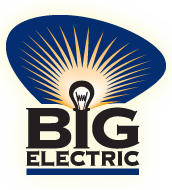 Big Electric is a Kansas City-based licensed and bonded residential service specialist offering over 30 years’ combined experience in the electrical industry. "I've worked with Dave for 5 years and his professionalism and sophistication has been a constant. We’ve worked with many electricians and contractors over the years, but Dave goes beyond his job as an electrician and installer; he functions as an expert in the trade. That is what makes him such a great partner to our firm - our clients truly enjoy having him around. Dave is not just another trade contractor, he has become a friend and a trusted advisor. Thanks Dave!" © 2007-2018. All Rights Reserved. Big Electric, Inc.